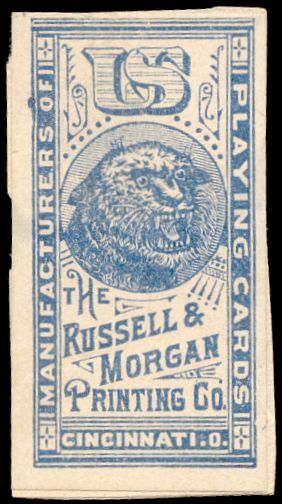 From August 1, 1866 to July 1, 1883 the tax on each pack with no more than 52 cards was five cents. 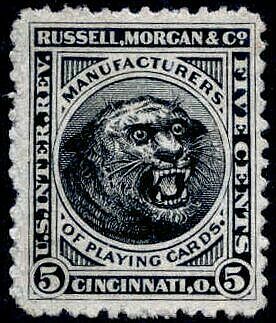 The five-cent Russell, Morgan & Company stamp was issued from late May of 1881 into March of 1883. A total of 1,304,100 were issued on watermarked paper. 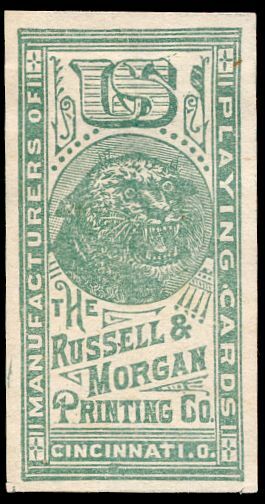 Two Russell & Morgan facsimile labels, period unknown.